Rarely do judges question jurors on their verdicts after they are polled to assure that this verdict was indeed the true verdict of the jury. As a Fairfax criminal lawyer, I know that the motivation behind judges rarely questioning jurors post-verdict include the interest in finality of court proceedings, and encouraging full and frank jury deliberations that are not hampered by jury members wondering whether their discussions in the jury room will later be disclosed by judicial mandate. Appellate courts have sometimes gone to extremes to exclude judicial post-verdict questioning of jurors: “There are several exceptions to the no-impeachment rule through which a court can hear testimony from jurors. 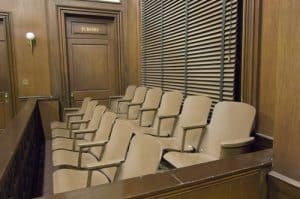 A juror may testify whether ‘extraneous prejudicial information was improperly brought to the jury’s attention’; ‘an outside influence was improperly brought to bear on any juror’; or ‘a mistake was made in entering the verdict on the verdict form.’ Fed. R. Evid. 606(b)(2). United States v. Birchette, ___ F.3d ___ (Nov. 7, 2018). “Over the centuries, parties have requested additional exceptions to common law and statutory no-impeachment rules. Courts have long declined to create new exceptions even in extraordinary circumstances, including when jurors … (2) calculated damages by averaging figures, McDonald, 238 U.S. at 265-66 (discussed at 137 S. Ct. at 864); (3) served under the influence of drugs and alcohol, Tanner, 483 U.S. at 116, 125-26 (discussed at 137 S. Ct. at 866); and (4) neglected to disclose bias during voir dire, Warger v. Shauers, 135 S. Ct. 521, 529 (2014) (discussed at 137 S. Ct. 866-67).” Id. In 2017, the United States Supreme Court concluded that if a juror’s words show reliance on racism to convict, the usual prohibition is lifted against being able to impeach what occurred in the jury room. Peña-Rodriguez v. Colorado, 137 S. Ct. 855 (2017). This month, the United States Court of Appeals had the opportunity to interpret Peña-Rodriguez, and ruled that the judge in a federal drug trial did not abuse his discretion in keeping with the approach of rarely questioning jurors post-verdict after the defense claimed that an African-American juror, post-verdict and unprompted told defense counsel that “a white female juror said to the two African-American jurors, ‘It’s a race thing for you. '” Birchette concludes that: “The district court did not abuse its discretion in ruling that juror interviews were unlikely to reveal evidence that “racial animus was a significant motivating factor in the jury’s vote to convict.” Birchette. Regardless of the correctness or not of Birchette’s holding, the alleged statement of the white juror to the only two of twelve African-American jurors that “it’s a race thing for you” is at both unacceptable and likely all too common a stated sentiment by too many people. Fairfax criminal lawyer Jonathan L. Katz pursues your best defense against prosecutions. To discuss your case with Jon Katz, please call his staff at 703-383-1100 to schedule a confidential consultation.